Ferguson struck out two and walked two in the place of an injured Hyun-Jin Ryu. The 29-year-old lefty has now given up just one run through nine innings this year. He has struck out 10 over that time. Still, his spot start usage doesn't really translate to fantasy success. 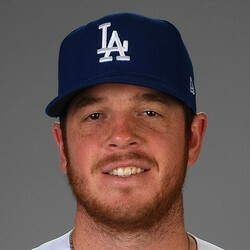 Caleb Ferguson allowed four runs (three earned) on two hits and a walk over five innings on Sunday against the Giants. He struck out six and took the loss, falling to 0-1. Ferguson was done in by two home runs, though they were the only hits he allowed. His spot in the starting rotation is tenuous at the moment but, either way, he's not worth starting in most leagues. Caleb Ferguson only pitched four innings but he only gave up two runs and struck out three batters. With how banged up the rotation is in LA, Ferguson may get another start in the up coming days. At this point he is nothing more then a spot start for fantasy owners. Caleb Ferguson will get another opportunity in the Dodgers’ rotation on Tuesday night against the Rangers. The Pirates were able to knock Ferguson out of the game in the second inning (four earned runs) last week due to a lack of command (three walks). Ferguson likely isn’t owned in any format and it should stay that way with Kenta Maeda rejoining the rotation on Wednesday. Rich Hill and Clayton Kershaw are also working their way back. Caleb Ferguson allowed four runs on two hits and three walks with three strikeouts over 1 2/3 innings in his debut with the Dodgers. Ferguson got the opportunity after a nice start to the season in the minors, though walks were an issue in his brief stay in Triple-A. It's to be determined if he'll get another opportunity as a starter with the Dodgers or if he'll be sent back to the minors.